Chocolate/Coffee Buttercream | New York Cake Co.
Posted on December 18, 2010 by New York Cake Co.
To all of my supporters… Thank You! 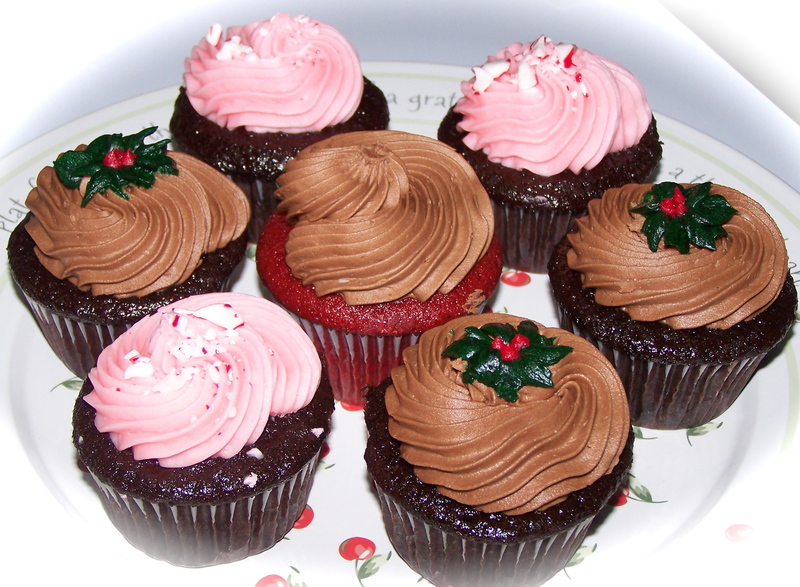 Posted in Uncategorized and tagged chocolate cake, chocolate peppermint, Chocolate/Coffee Buttercream, cupcakes, holiday cupakes, New York Cake Co, peppermint buttercream, red velvet with chocolate, Theresa Francis. Bookmark the permalink. Posted on October 7, 2010 by New York Cake Co.
It’s 3:25AM on Friday morning in Glasgow, Scotland. Though I’ve been running like crazy but I’m not tired, don’t know why not…. and here I am blogging! When I get back to the States I will definitely share more about the impact New York Cake Co. had on Scotland. But just to keep you in the loop. For a wedding in Scotland I was asked to be the bridesmaid and the wedding cake creator. Well it was quite a task but it got done… details to follow. 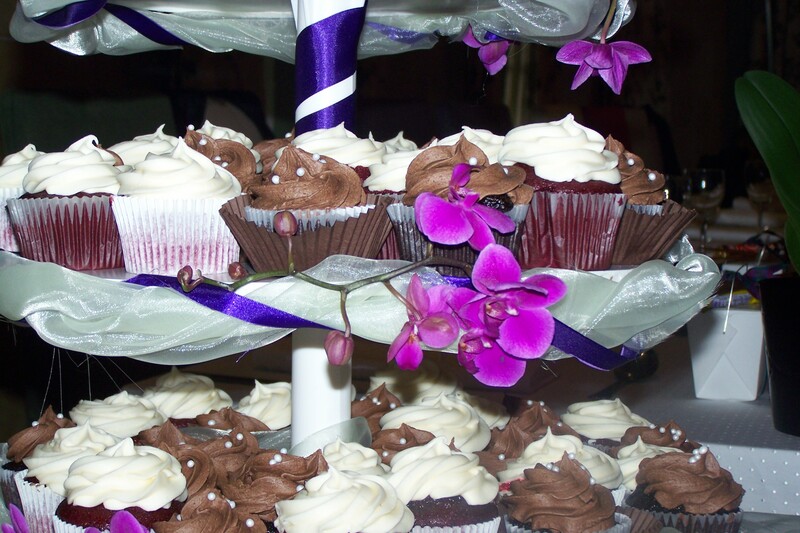 Here are pics creating the cupcakes and then the finished deal at the wedding. To Kristhessa, the bride and Stevie Boy, the Groom…. I love you…. you have yet changed New York Cake Co. forever! Posted in Uncategorized and tagged chocolate cake, Chocolate/Coffee Buttercream, cream cheese frosting, cupcakes, hot pink, New York Cake Co, orchard, purple, Red Velvet, scotland wedding, Theresa Francis, wedding cupcake. Bookmark the permalink. Posted on August 14, 2010 by New York Cake Co. 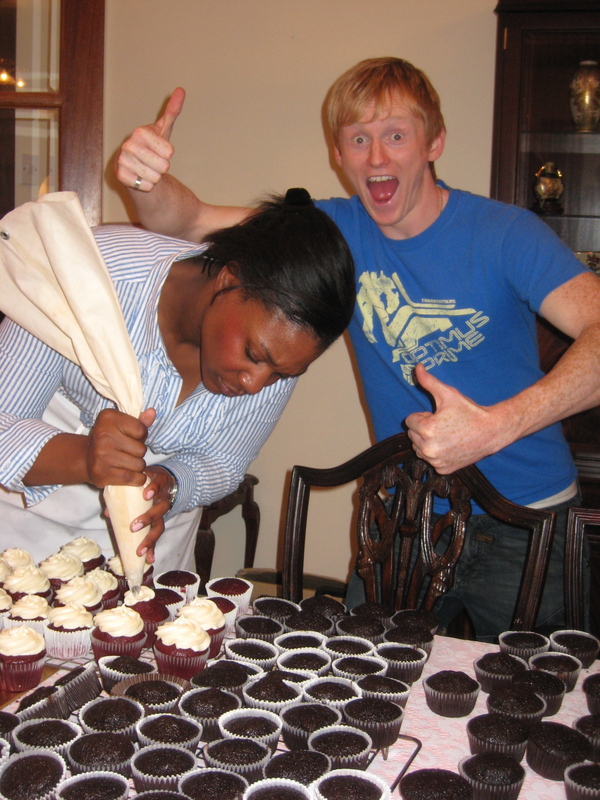 Photos: 16″ vanilla, the other 3 – 12″, 10″, 8″, 10 pounds of fondant ready for tinting cream, Abraham ready to deliver! So… this is the first wedding cake I’ve created. In April I made one small cake with 90 cupcakes for a wedding but this is different as it is a tiered wedding cake. Ok… on to the planning and creating! Being this was my first time I did a few tiered cakes as practice to ensure proper structure and support – didn’t want the cakes to topple after spending so much time making them. I ordered all my supplies and thought and thought and thought – after all my thinking I thought I had everything that I would need. I was so blessed to find some supplies that I thought I didn’t have – less that I had to order. There were said to be 150 guests and I was determined that they wouldn’t run out of cake so I did a 16″, 12″ 10″ and 8″. I have never done a 16 or 12″ before and just looking at the pans I was SCARED, they just seemed enormous. 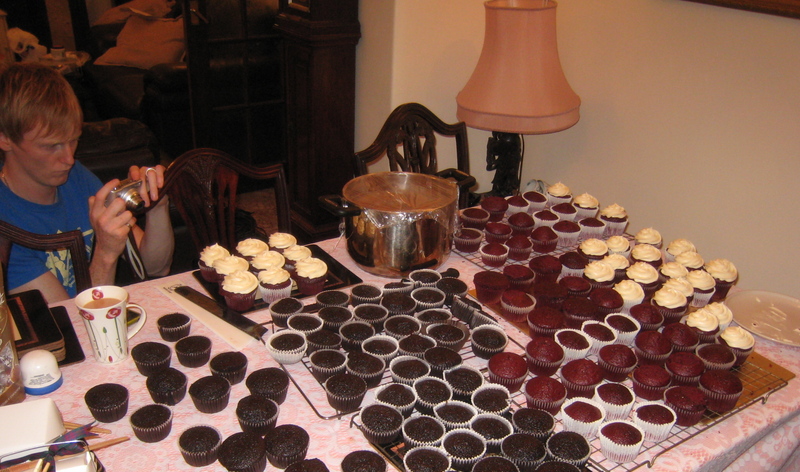 How was I going to handle them and not drop the cakes?! As we all know.. when you face the mountain or a giant situation in life head-on it shrinks. This is what happened after I baked that mega 16″ cake – the size was no longer intimidating and it seemed to shrink – I was no longer scared. 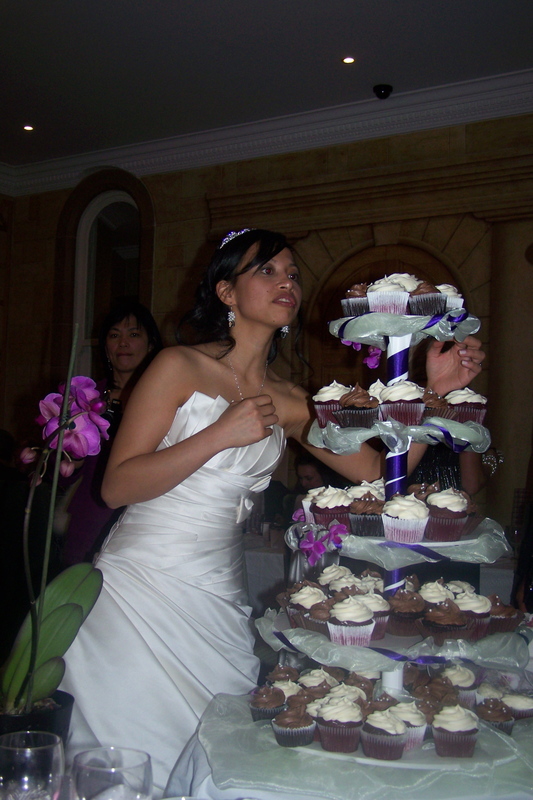 Flavors: this bride was so easy; I was really blessed. The 16″ and 10″ were vanilla with vanilla buttercream and the 12″ and 8″ were Chocolate with a chocolate/coffee buttercream. Colors: Cream and clover green Decor: hydrangeas. Everything was finished last night. Had my tool box of accessories packed up by the door – I was ready! This morning I got up with zeal – the weather was 74 degrees and absolutely beautiful. I packed up Abraham (my Cooper clubman) and headed into NYC. Got to the restaurant, Terrazza Toscana on 50th & 9th Avenue at 9:15 and it was locked. Ohhhhh nooooo! Found the door to the kitchen and gave it a knock… someone came and let me in to set up…. Phew… By 10:00 I was done!! WOW, a mission accomplished!! Thanks to GOD! Posted in Uncategorized and tagged chocolate cake, Chocolate/Coffee Buttercream, clover green & cream, New York Cake Co, terrazza toscana, Theresa Francis, tiered wedding cake, vanilla cake, wedding, wedding hydrangeas. Bookmark the permalink. Posted on July 16, 2010 by New York Cake Co. I always love the look of the cake that is so smooth, perfectly covered with a satiny Chocolate Glaze. It’s so shiny it’s like a mirror!! I like to learn from the best, so I pulled out a book by Francois Payard (keep reading this blog and you are soon to learn a lot about Chef Payard) and sure enough on Page 36 he had a Chocolate Glaze recipe. “Ok… Ok… I’m going to do it and it is going to come out just perfect“. 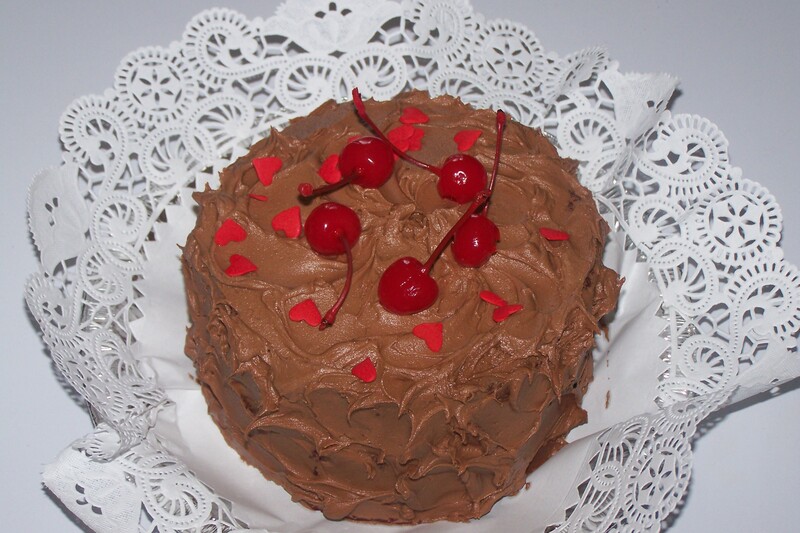 I frosted and filled the velvety Chocolate cake with Chocolate/Coffee Buttercream then to the freezer it went. I let it sit in the freezer for about 2 hours… Now the fun begins. I made the glaze and did a test on the cake. It came out alright. I…think…I’m ready. I began pouring and it looked so beautiful. Then it didn’t flow down the cake like it should have so I smoothened it out a bit, then spatula marks were all over it and it wasn’t that perfectly smooth. Well…. a challenge well taken… the results were not perfect but pretty close. What I learned… the glaze needs to be a little warmer so it will flow when it hits that freezing cold cake. Will I do it again… of course… in a heartbeat!! Posted in Uncategorized and tagged Chocolate/Coffee Buttercream, New York Cake Co, satin chocolate glaze, Theresa Francis. Bookmark the permalink.